Experience the magic of camp right along side the kids in your life! 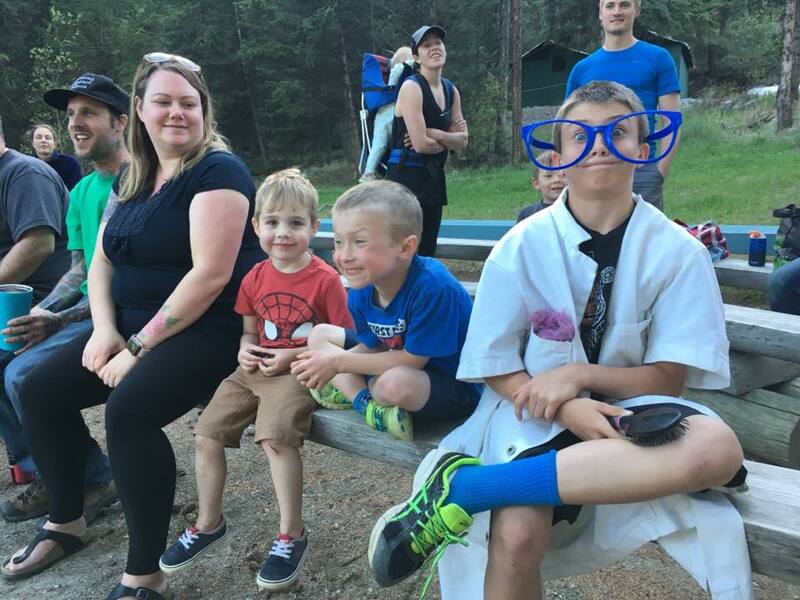 Family Camp is the perfect opportunity for kids and their families to get outside, become closer and make life long memories in our laid back, unplugged family fun programs! You will take part in traditional camp activities, eat delicious meals that will please even the pickiest eater, and make amazing new friends! Adults can relive their special camp memories and share new adventures with the kids. Come as grandparents and grand kids, single parents and children, dads, moms, cousins, aunts, uncles, the more the merrier! Is your child nervous about heading off to Summer Camp on their own? Family camp is the perfect first step toward being ready for Summer Camp! They will have the Summer Camp experience with the security of their loved ones by their side. Is your family new to camping? Try our style of camping! This weekend opportunity is guided by experienced staff who will teach you all the basic outdoor skills so you can be confident when you venture into the outdoors on your own. Each day at Blue Lake is filled with fun activities that will build confidence, critical thinking skills, and encourage team work. Campers are continually supported, encouraged, and set up for success! Some activities, like Discovery Programs, are done in small groups and others, like Large Group Games, involve everyone. Together we complete duties, tackle challenges, and make special connections along the way. Waterfront: Join the Beach Party on the sandy shore of Blue Lake! Go for a swim, or learn how to paddle in one of our canoes. If you love to fish, bring your rod and tackle and catch one of our rainbow trout. Free Time: Time to choose your own adventure! Canoeing, swimming, crafts, games, or quiet time. You can even bring your mountain bike and helmet and join other bikers on one of our many trails (optional). Campfire: The ultimate camp tradition! Each evening we gather around the fire for traditional stories, songs, hot chocolate, and snacks. Duties: Duties are an important part of programming and teach valuable life skills and team work. Join your duty groups to help with setup and cleanup during meal times, and cleaning of shared camp areas. 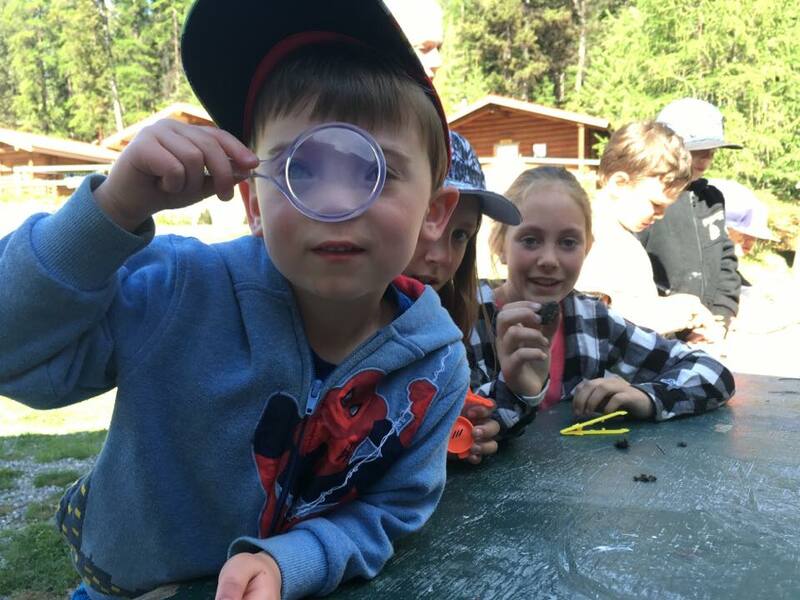 At Blue Lake Camp, our focus is outdoor science and recreation. Through our Discovery Programs we learn about the world in a way that is inspiring, hands-on, fun and active! Family Campers will have the opportunity to sign up for four Discovery Sessions when they arrive at camp. Camp is an active place and full bellies are important to help keep energy levels high! With this in mind, Blue Lake Camp offers delicious, nutritious, filling meals with vegetarian options. Family campers receive three delicious meals a day in addition to an evening snack with hot chocolate. Fruit is available all day for anyone needing something extra. Our chef prepares a menu sure to please even the pickiest eaters. 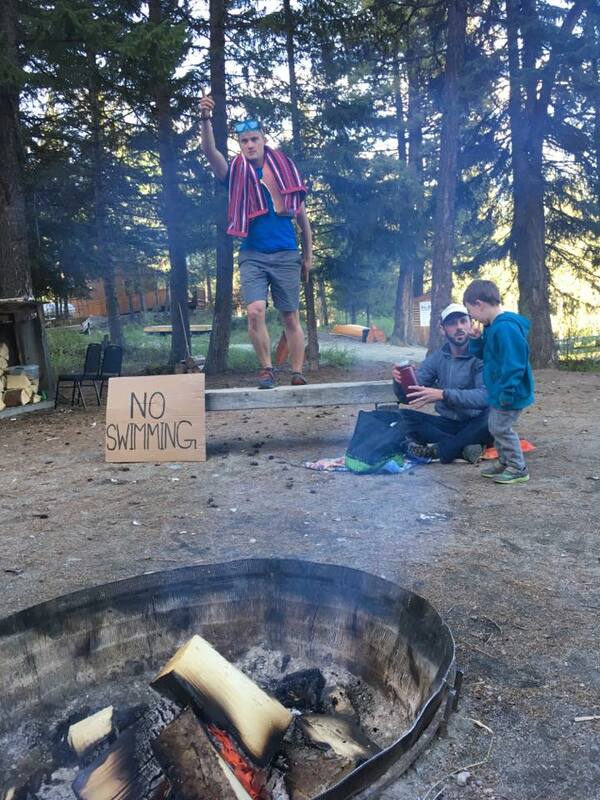 Nut products are not permitted at our summer camp. With advance notice, our camps are able to accommodate some special diets. Our cozy log cabins are equipped with bunk beds, hypoallergenic/water proof mattresses, wood stoves, and safety equipment. Cabins are set up in a dormitory style. Number of beds per cabin range from 10 - 16. Families will be assigned shared cabin accommodation. Each family unit will be in the same cabin unless they exceed the number of beds. You can request to share a cabin with other families during the registration process. The wash house is equipped with sinks, flush toilets, private showers, hot water, and a change area with storage cubbies. Please contact our office if you have any questions about accommodation or cabin assignments. Our highly trained staff provide leadership, positive role modeling, and ensure the safety of campers. Our team includes first aid staff and certified national life guards. We provide the programming and safety services, adults are responsible for the supervision and behavior management of their children.